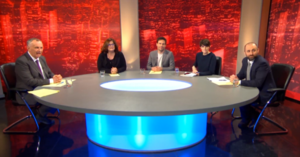 Last night, on TV3’s Tonight With Mick Clifford, the show’s panel discussed the media’s impact on the general election. The panel included director of the Institute for Future Media and Journalism at Dublin City University, Jane Suiter; our own Julien Mercille; Sinead Carroll of the Journal; and John Devitt, from Transparency International Ireland. 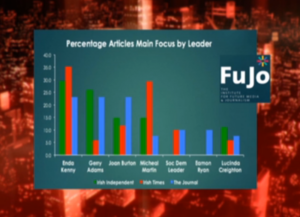 At the beginning of their discussion, Ms Suiter presented the preliminary findings of an unfinished study by FUJO which is looking at the coverage of the election by the Irish Times, the Irish Independent and the Journal. She explained that the study’s findings to date are solely based on coverage up to a week before the election and that the final week has yet to be investigated. She also said FUJO will be looking at the coverage of RTÉ and TV3. Further to the study’s findings presented by Ms Suiter, the panel discussed the coverage as a whole. Mercille: “It’s a more important point than not knowing about the math of this budget or something. Posted in Misc and tagged GE16, Julien Mercille, Media, Tonight with Mick Clifford at 2:03 pm on March 9, 2016 by Broadsheet. I saw it. This will be my last negative comment about Mr. Mercille’s views as I don’t want to be too negative. But he is very immature for a political commentator, there are his opinions which are 100% right and any others are 100% wrong and stupid. As per the extract below. I have no gra for Fine Gael or their policies, but to suggest they ‘don’t understand economics’ because they implemented policies Julian doesn’t agree with is nonsense. That’s an issue of ideologies and priorities, not understanding. 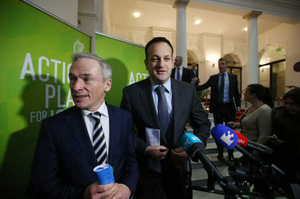 FG knew exactly what they were doing in government when they introduced policies that looked after the wealthy and middle classes over those who were struggling. Questioning the ideology is fair game. Gerry Adams, meanwhile, was trying to convince people to vote for his party and couldn’t out forward a coherent argument – that’s fair game for scrutiny of his leadership. 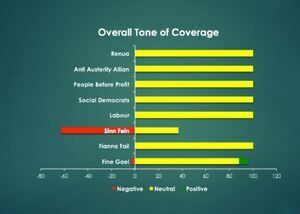 In fairness, what the researchers see as ‘negative’ such as mentions of Slab Murphy, SF would see as a positive of the ‘Good Republican’ variety. So, I’m sure SF would see less negative on that graph. Or at least, they should. The only thing about Tom Murphy’s sentence is that Lowry will have to face a similar fate. Thats a great idea, any chance we could get a post about how many articles broadsheet posted by socialists vs non-socialists? How is this a surprise…..?! For the vast majority of their contemporary history, Sinn Fein, their party leader and their ‘associates’ ran about the place shooting and mutilating people and blowing $hit up….. This added to the fact that many of all those ‘good republicans’ and their attempt to go clean were and still are involved in all sorts of dodgy business dealings and property scams…. ‘Three Houses’ Adams can go swing…. Their fingers fumble just as easily as the rest of the greasers in this country…. It seems that no-one can criticise SF, what with the Peace Process ‘an all. 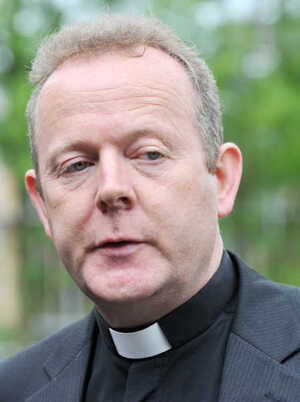 Fact is they do run NI in a coalition and its terrible, they do have many, many unanswered questions about their past, the cover up of child abuse, fuel smuggling, money laundering and muscle men on the edges, they do not have much regard for the Constitution, Courts or Dáil of this republic, they have more regard for a shadowy ard comhairle nor does Jerry have any firm grasp of maths needed to at least fake that he has a taxation policy. Why do people think we should reward SF for anything? It nice that they stopped using violence , but that doesn’t make them fit to run this state. You couldn’t really call what is in place in the North as a coalition, SF are a necessary if blunt nationalist balance to the head bangers in the DUP, as normality takes hold the more moderate parties may once again have a place in Northern politics but as it stands an extreme religious division of power is the only show in town. I have to disagree with Sinéad there. As soon as it became obvious that no party would be able to get an overall majority the policies became nothing more than the starting point for coalition negotiations so there was no real benefit in examining them. On a related note, the mantra about parties breaking promises once elected is meaningless when nobody gets an overall majority and everyone has to dilute their policies to try and implement anything. Merc claims that SF are most definitely not the establishment untill he concedes that of course they are a BIT the establishment. and of course FG know NOTHING AT ALL ABOUT ECONOMICS because he doesn’t agree with his policies. This guy is supposed to be a media watchdog? There is a village in Canada missing an idiot. That final sentence is brilliant. It is being gutted at the moment for various reasons and aside from that, universalistic systems (or almost universalistic) have been implemented better elsewhere. Why not for the best from abroad? Or better still develope a new system based on the lessons learned here & abroad? I mean, this is car crash stuff from Julien. He repeatedly had to restate his wild assertions. Any links to the articles calling for an Irish NHS?? Since it’s “Wild” for Julien to claim there were NO such articles?? Also, more importantly, what the hell is up with Merceille’s Miami Vice style round neck and sports jacket routine? I mean, the guy really needs a style makeover. His mom thinks he’s cool! He’s a’ight but he’s no Sonny Crockett. When you go ad hominem, it’s time to give up. Balance? All of these people are white. So they should have .4% of a a black journalist for balance? But which .4%? Oooh, matron! The distaste many of us have for Sinn Féin is frustrating to its supporters, many of whom think it’s narrow-minded and cliched to bring up their violent past. But to me as a voter, because they don’t believe the IRA was wrong in taking part in a protracted “war”, during which countless non-combatants were tortured and/or killed, means that their past is in many ways their present. The counter-argument is very often “there were plenty others doing the same thing” and “we were just defending ourselves”. I’ll address the first argument in a minute. With regard to the “defence” argument, SF and their supporters fail to understand is that a significant bloc of voters in the Republic don’t buy that. There were plenty that lived in communities under siege from nefarious forces in the form of both the British State and loyalist paramilitaries. They did not sink to their level; groups like NICRA, the SDLP, people like Mairead Corrigan and Bernadette McAliskey – they fought with words and deeds, not violence. It was possible to do so; Sinn Féin like to present the situation as impossible and violence was the only answer. Instead, it muddied the very clear injustice happening up until that point; Catholics were being discriminated against on a wholesale level – using violence allowed that discrimination to continue under a different name, so the same bigot who didn’t want to share power with a Catholic in the early 70’s could simply change their excuse to not wanting to be involved with “groups with paramilitary links” right up until the mid-00’s, a perfectly-acceptable excuse to an international audience. Imagine if there wasn’t an IRA and a gerrymandering Unionist government in Stormont had to justify not sharing power with Catholic-majority parties. It would be an impossible argument for them to win, and they would have been decimated in the anti-colonial atmosphere of the late 70’s. Rhodesia’s whites had a firmer grip of power than Northern Ireland’s unionists in 1970 and look what happened to them. The second argument, the “there were plenty others doing the same thing” argument, could be made in two ways. Number 1 is the fact that many of the Republic’s main parties have violent pasts; Fianna Fáil and Fine Gael are essentially splinter groups from the original Sinn Féin and even the Labour Party contains/contained former Workers Party members – essentially the Official IRA gone legit. So it’s true to say SF aren’t the only party with a violent past. But Sinn Féin’s violent past is very recent. 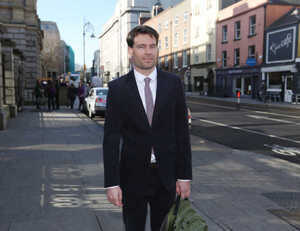 Your local TD could be Dessie Ellis, who smuggled explosives for the IRA. Or up until recently, Martin Ferris – a man who collected from prison the killers of a Detective Garda murdered after the first IRA ceasefire. Maybe Gerry Adams, who was a member of the IRA Army Council until its disbandment in the last decade. You can say a lot about Enda or even Brian Cowen before him but they weren’t members of the IRA or anything like it. The other way this argument is framed is that Sinn Féin are just one of a number of groups from Northern Ireland that are as bad as each other and to have a particular grievance against them is unfair. And that’s true; the British Army did some awful things in Northern Ireland. As did the UVF, the INLA, the UFF, the Real IRA, the LVF, the Continuity IRA, the Shankill Butchers and the Red Hand Commandos. I’d also have a big problem with the DUP, the TUV, Vanguard, the UDA and even individual members of the UUP. Northern Ireland was full of lots of nasty “politicians” in organisations with horrible acronyms with horrible policies and ideas unacceptable in any other context. And that’s the key; Sinn Féin are a product of that rough form of Northern politics, the “puke football” that Southerners find unpleasant. They turned up the rhetoric to 11 and attempt to “shake things up” because that’s what worked in the North, that’s what had to happen. And I support the peace process, I think that like the old adage that “only Nixon could go to China”, only Gerry could go to Ian and only Ian could go to Gerry – so it worked up there. But would I vote for them? No, but no more than I’d vote for the DUP, the UVF or the INLA. That’s their brand of politics and as someone from the Republic, I don’t want a thing to do with them. And I suspect that’s what a lot of voters who once again rejected the establishment but went for independent candidates rather than Sinn Féin were thinking. I always like your long posts. That was excellent, Joe835, thank you. Absolutely, that was the next thing I was going to say but I think I went on enough there! 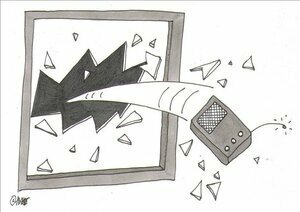 Sinn Féin’s lack of discourse, of internal inertia is unsettling in a democracy. But a lot of people involved in SF haven’t much experience with politics and don’t see anything odd about a leader in power for THIRTY YEARS who occupies an almost cult-like position within the republican movement. Or else they do see something plenty odd about it but are scared to speak out, which is just as bad really. Gerry will step down when Gerry wants to and not a moment sooner; I’m not a FG supporter but I do know that when the knives come out for Enda (and they will), he won’t stand a chance. And they won’t use actual knives, obv. What is the point of Mercille? He has done no obvious research on any of the points he talks about. He uses the same focus on anecdotes as the politicians he condemns. He must be available at very, very short notice to go on TV panel shows. the Shinners, AAA, PBP and anyone else that don’t subscribe to their hymm sheet.